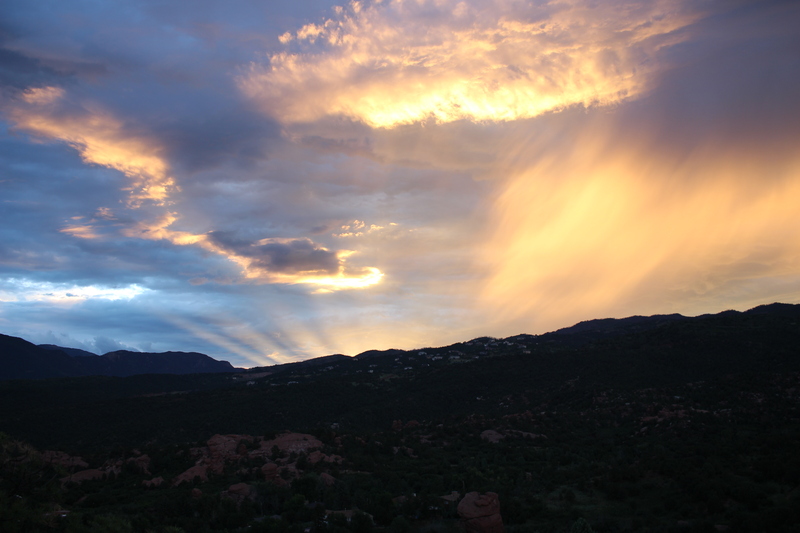 I’ve seen many a beautiful sunset in my life, but few could top the sunset we watched from our perch on a ridge in the Garden of the Gods in Colorado Springs. 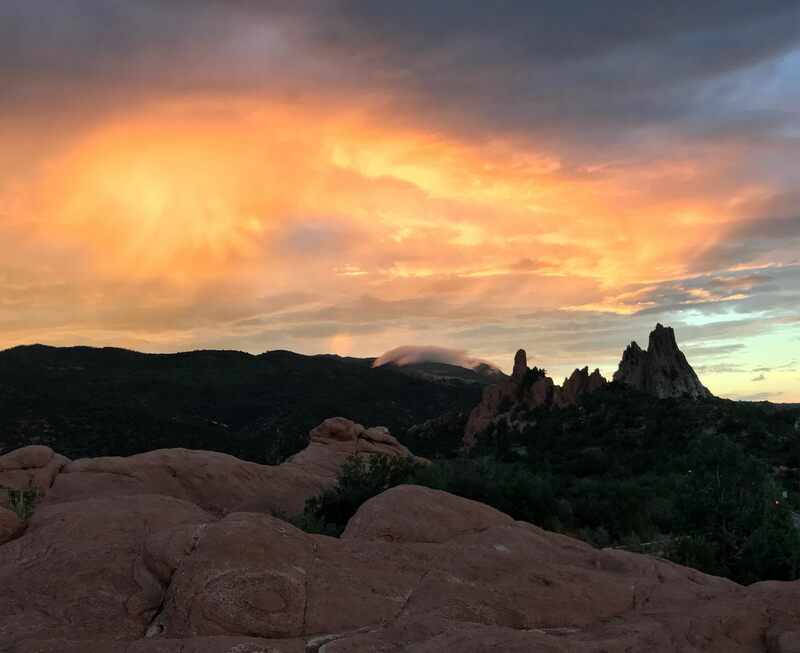 Piercing colors filled the skies, and they were rivaled only by the red glow emanating from the huge rock formations found in the park. 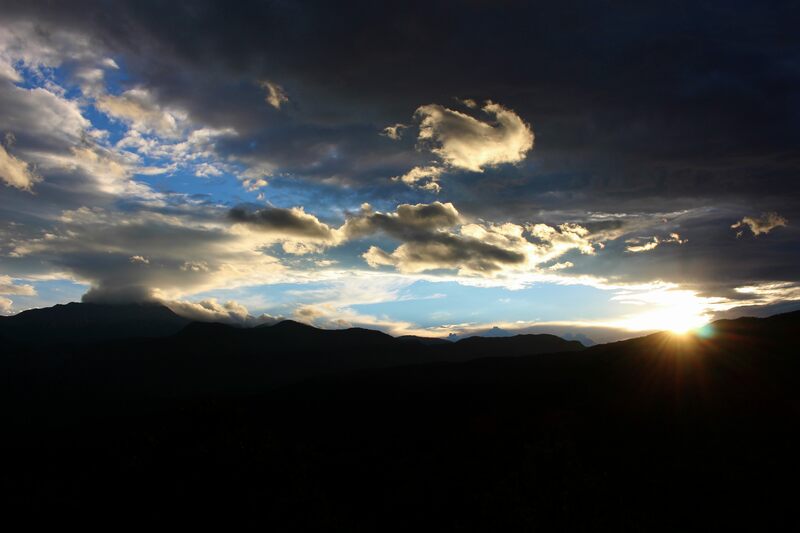 This sunset was the perfect end cap to our Colorado getaway. 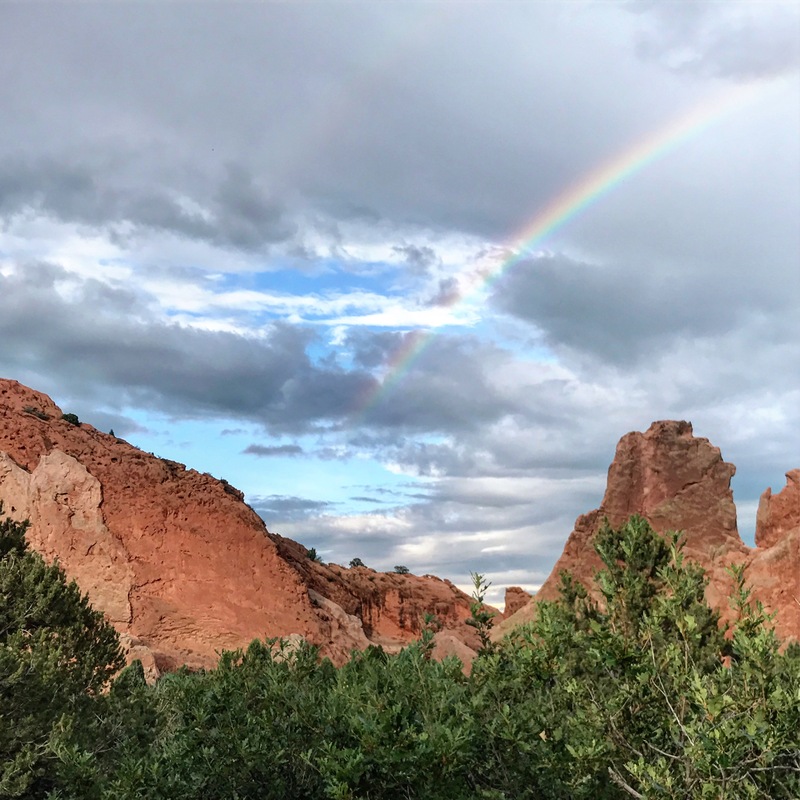 We had previously taken a trip through Garden of the Gods six years ago that was memorable for a different reason. Our two young boys brawled and howled in the backseat, distracting us from experiencing the park’s beauty. We saw enough to cement it in our imaginations, making us eager to return for a more thorough visit. 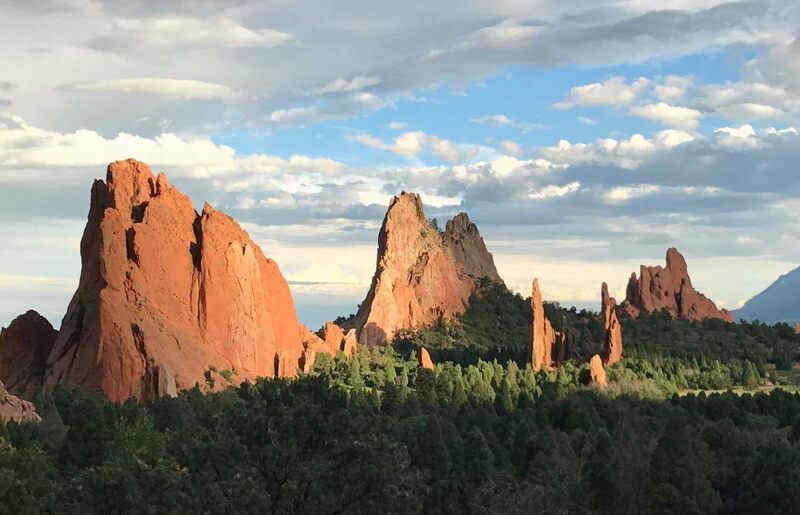 Massive jagged red rocks jut skyward like the sails of a ship, rising high above the verdant landscape in the Garden of the Gods. Some reach as high as 300 feet. 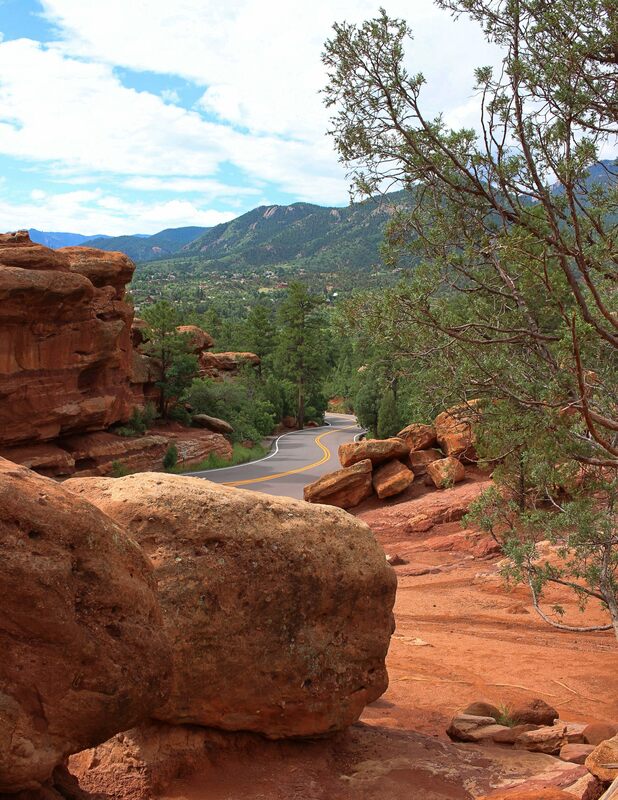 Millions of years ago, as the nearby Front Range of the Colorado Rocky Mountains was being formed, these red rocks were tilted in the ground. Over time, erosion washed away the earth, leaving only these fascinating formations (this is my non-geologist explanation with apologies to the actual geologists). 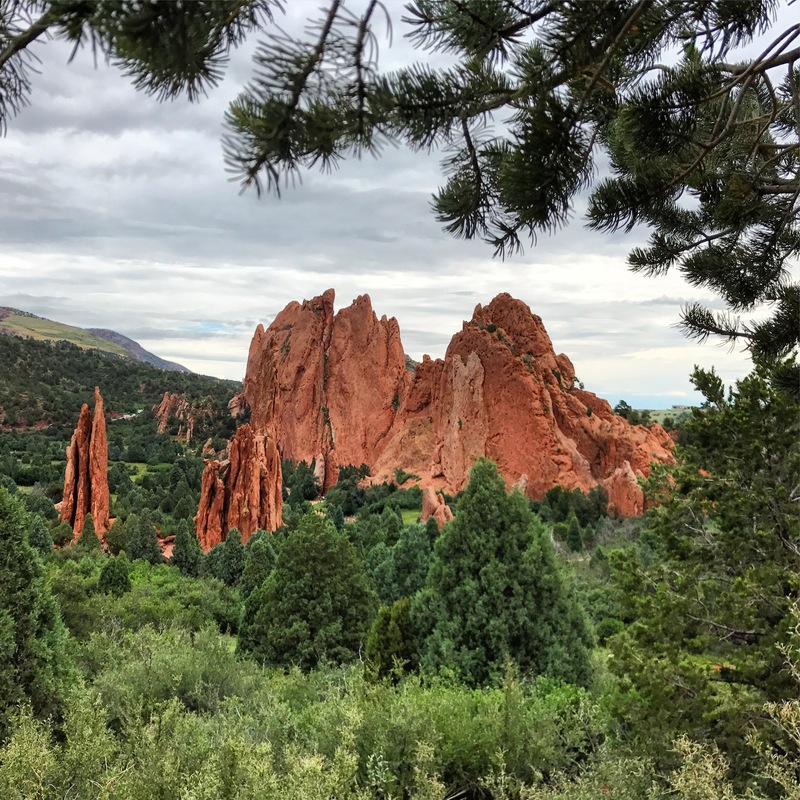 Located in Colorado Springs, this park is beautiful enough to wow you, and yet it is small and very accessible. 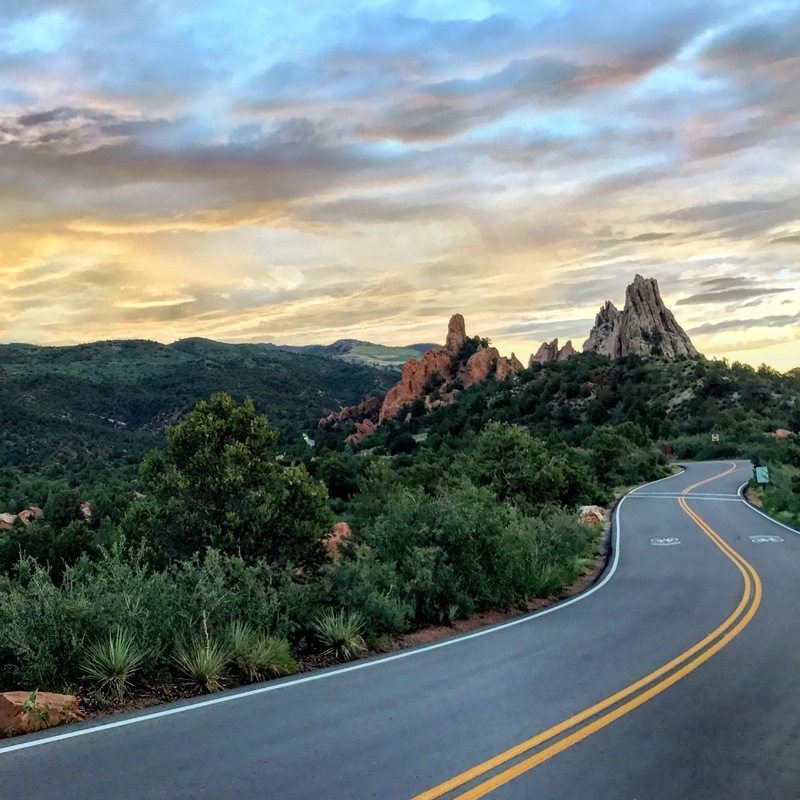 Whether you want to take a quick drive through the park or spend hours on the trails, Garden of the Gods will not disappoint. 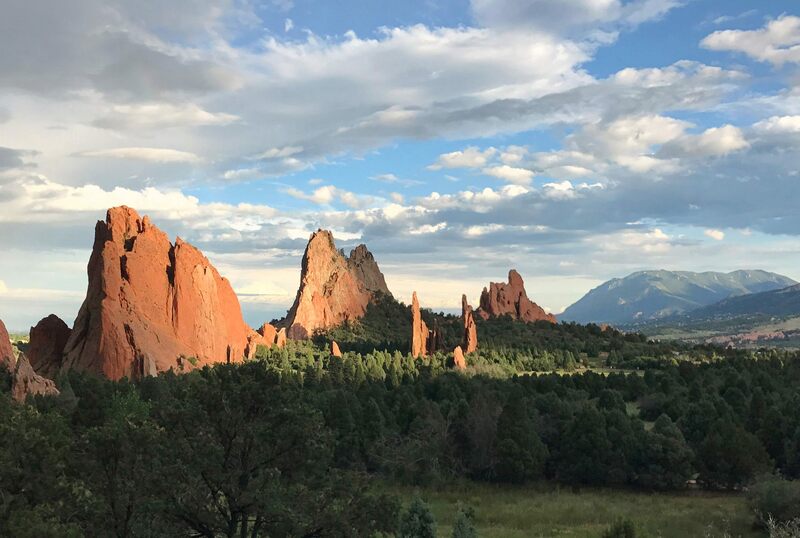 Once held in private hands, these lands were donated to the city of Colorado Springs in 1909, with the provision that the park would be open for free to visitors for perpetuity. The city has upheld their end of the deal, and today’s explorers will find over 1000 acres full of hiking trails, scenic overlooks, and stunning photo ops. We started our day with a morning visit to the park, arriving at the visitor center right before the doors opened. I highly recommend making a stop here to pick up the park map, which details all of the trails and describes several of the iconic formations. With over 15 miles of trails, the best way to explore the park is on foot. 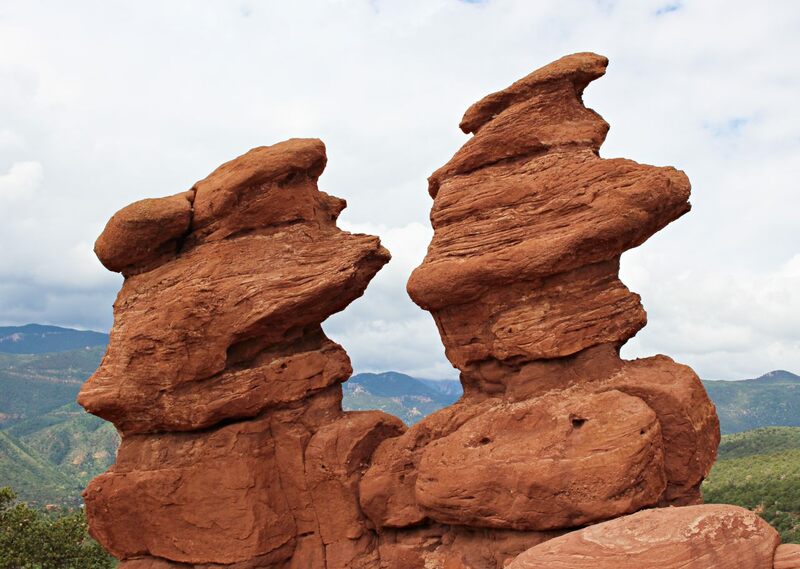 This allows you to truly experience the majesty of the red rocks by getting right up close. A number other touring options are also available (including Segways and Jeeps). Thanks to our morning arrival, we easily snagged a parking spot at the main parking lot, which serves as a trailhead for several of the interconnected central trails. Though we were bummed by the grey skies above, the beauty of the rocks still shined. We made our way deeper in the park to hike the Siamese Twins Trail. These rocks look like exact replicas of each other. As if that weren’t cool enough, an opening in the middle of the two towers offers a picture perfect frame for Pikes Peak off in the distance. 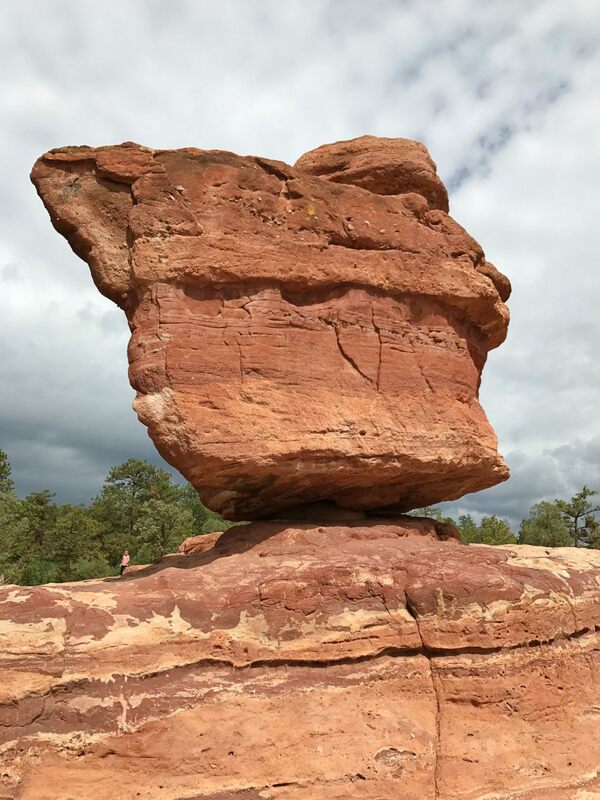 Another must-see formation is Balance Rock. Precariously sitting on top of another rock, this massive formation seemingly defies gravity. People have been stopping here for over a century for pictures. In the 1890s, before this rock was including in Garden of the Gods, a 14-year-old boy once had a business charging visitors 25-cents to snap a photo. Eventually, their family lost the property the rock was on, and it was incorporated into the park. Another popular attraction in the park is the historic Trading Post. 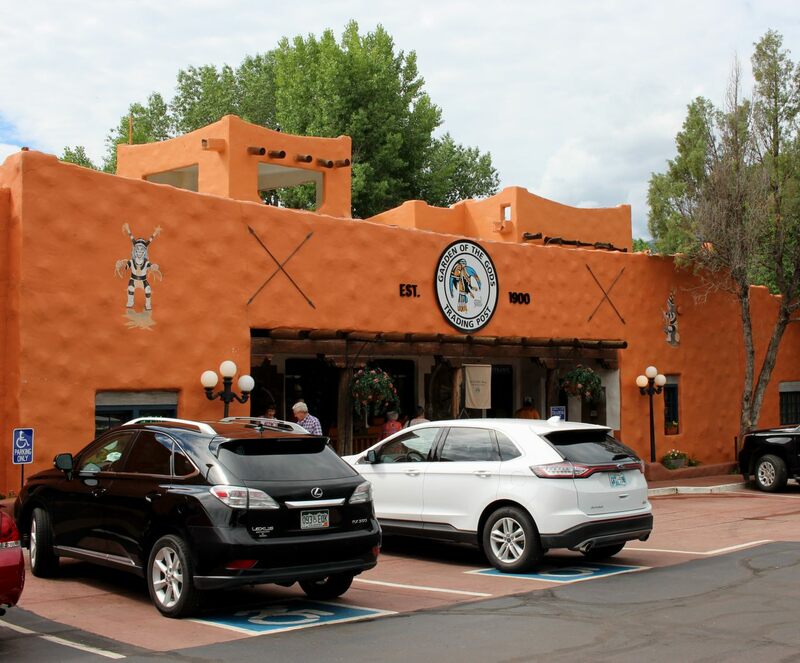 Built in 1929, the store is meant to reflect Native American cultures of the southwest. Today, it’s an iconic stop for souvenirs and refreshments. The original builder brought in Native American artists so visitors could observe them creating their wares. This history is still reflected in the art gallery onsite. By mid-day, we had driven through almost all of the park and hiked several trails. Our stomachs were rumbling, and we headed out of the park to find lunch and to check out more of Colorado Springs. As we had anticipated, the rains moved in during the afternoon hours. We were glad to be out of the park and inside a restaurant during the downpour. Later, the clouds parted, and it became apparent that a beautiful evening was ahead. We decided we would like to return to the park in hopes of catching a good sunset. As we snaked along the roads, the sun started to sink closer to the horizon, and the red rocks started to glow in the golden hour sun. As if this sight weren’t beautiful enough alone, a rainbow appeared, truly taking the scene even more eye popping. I had to pinch myself to make sure I wasn’t dreaming. The skies darkened, and we needed to find a spot to park so we could take it all in. We found High Point Overlook and knew this was the place for us. Before long, the skies began to sing. Though many other visitors had the same idea as us, we found a private spot to relax. Colorado Springs lay at our feet as the sky started its show. Soon, the sky exploded with color as the sun sank further below the clouds. 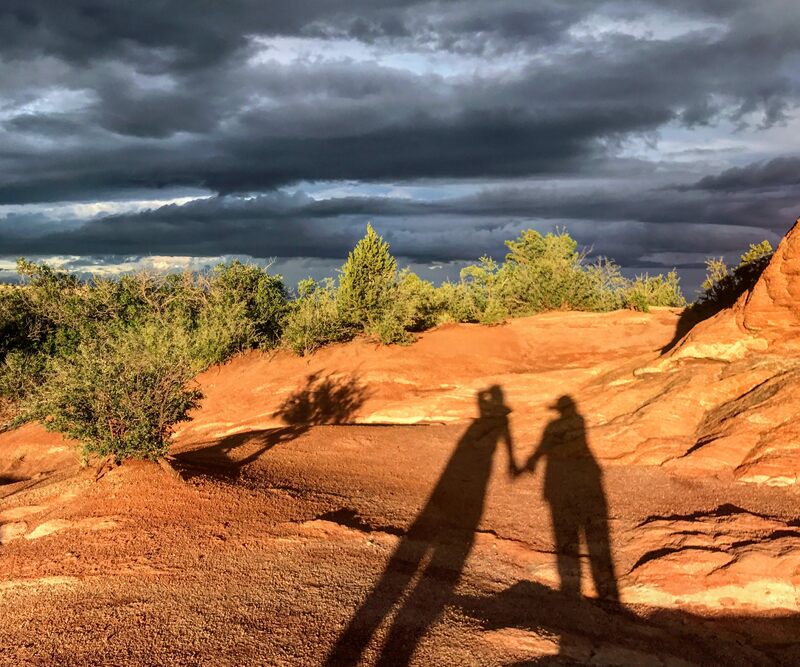 It was pretty romantic to be spending my 42nd birthday with my husband in this spectacular landscape. What a gift, indeed! I’ve seen many beautiful sunsets in my life, but this one put on a really special show. A few dark clouds floated in the skies and produced some rain showers, which dissipated before they reached the ground. These rains caught the sunlight, adding a even more magical touch to the sunset. Much like a rousing campfire soon turns to embers and then goes out, the light in the sky soon faded to a bright sliver before darkness enveloped the landscape. I was thrilled my husband and I had a front-row seat to this spectacular show. I’ll hold this moment in my heart forever. In some ways, this trip to Colorado was one we really should not have taken. I could have been at home working on comprehensive exams for my doctoral program, and we could have used the money to pay off the debt we accumulated on a trip we took to England earlier in the summer. It was also scary to travel so far away from home without the boys. There really was no sensible reason to go to Colorado and many reasons not to go. And yet, I felt like it was something my soul needed. This day at Garden of the Gods was one of those days where I truly broke free from my regular life and paid attention. I was definitely astonished, and I’m pleased to tell you about it, as Mary Oliver instructed. Sometimes, we just have to live and embrace life. We have to get out into this world of ours and be astonished by it. 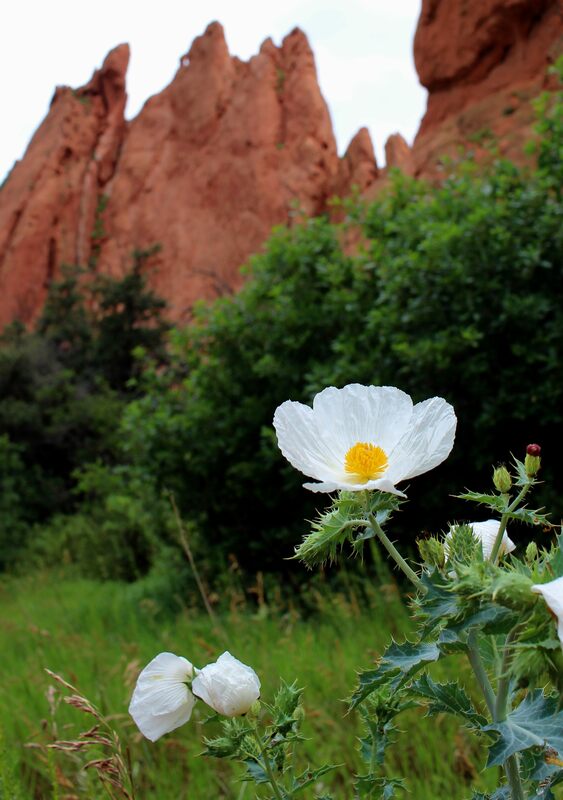 Glorious Garden of the Gods is one of those places that makes that transcendence happen. Arrive early if you plan to park and hike. The parking situation gets progressively worse at the main trailheads throughout the day. Stop at the visitor center to learn about the park’s history and flora and fauna. Educational displays and a film are available here. The park itself is free, but if you want to view the educational film at the visitor center, expect to pay around $5 each. Pick up a park map at the visitor center. This shows the trails and describes the major formations. Guided nature walks are offered daily, and organized fun runs take place weekly. Be sure to check out the events calendar. Jeep, trolley, and Segway tours are also offered. Rock climbing is allowed with proper preparations. In the summer months, it can be hot and dry in the park. Take plenty of water and precautions for dealing with the sun. Absolutely take a camera. This is one of the most photographed places in Colorado for good reason. Posted in: Places We've Explored. Tags: Colorado, Hiking. What a beautiful place! I loved your photos. 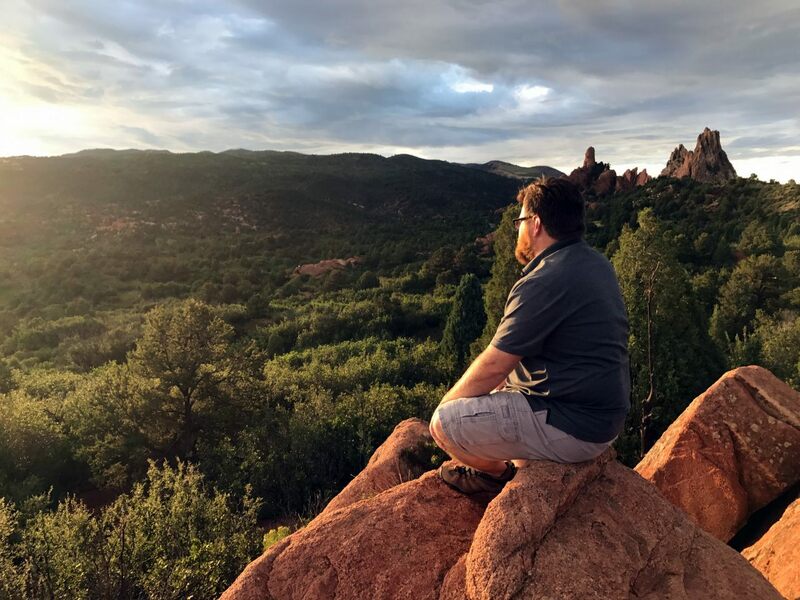 I visited Garden of the Gods as a teenager with my own parents, and would love to take my own children someday. Thanks for the tips list! It’s so fun to revisit places from my childhood, but those logistics are lost on me, not being the mom who had to figure those things out at the time. Thanks for another great post! Thank you for your kind words, Lara. I am so glad we had an opportunity to return and soak up the beauty. Hope you make it out that way sometime! Breathtaking photos! 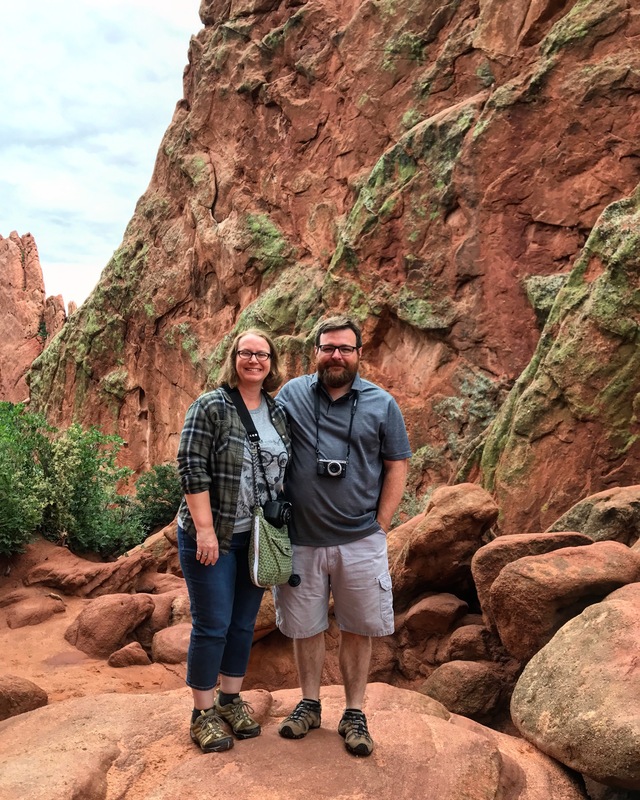 We have not been to Colorado Springs or Garden of the Gods in a few years. I think it is time to move it up a notch on the wish list!